I’m not much interested in arguments about christianity. I try to focus on the known facts, the consensus conclusions of scholars and then express what I personally conclude. I’m happy for alternative, and opposite, opinions to be expressed, but I don’t see a lot of point arguing over them. But I am more interested when people come up with alternative “facts”, or try to get me to think that their generally non-expert opinion should be believed instead of the consensus of experts in the field. Just as I accept the findings of cosmologists, evolutionary scientists, neuroscientists, climate scientists, modern historians, etc, when they are speaking on their area of expertise, so too do I accept the conclusions of New Testament and classical historians about the life of Jesus, and I try to base my personal beliefs and conclusions on them. So I think it is worth sharing three examples of where expert historians contradict the claims of some who write about Jesus and who hint at cover-ups and conspiracies of silence. If this sort of thing interests you, read on …..
Undivided Looking blog by cosmologist Aron Wall is one of my favourites, a reliable source of well-researched information. A recent guest post by Scott Church, titled Tis the Season… For Revisionist History examines a number of common claims about the pagan origins of Christmas and christianity. Scott looks at claims about the date of Christmas and some other common Christmas customs are “borrowed” from pagan religions relating to Mithras, Horus and Sol Invictus, and shows with copious references that the claims are either silly or unremarkable. He goes on to look at the Jesus myth (the idea that Jesus was not a real person but an invented myth) and a whole bunch of conspiracy theories (on subjects much wider the Jesus myth) promoted by the 2007 film Zeitgeist. He looks briefly at the work of the late Dorothy Murdock, who wrote under the name Acharya S, examines her academic credentials (which were meagre) and the problems with some of her arguments. If any of these topics have troubled you or interest you, Scott’s summary and analysis may be worth a look. Larry Hurtado is a “New Testament scholar, historian of early Christianity and Emeritus Professor of New Testament Language, Literature and Theology at the University of Edinburgh, Scotland.” (Wikipedia). I follow his blog and learn a lot from it. Mostly he confines his posts to comments on academic matters and books, but recently he published a group of posts on the Jesus myth. 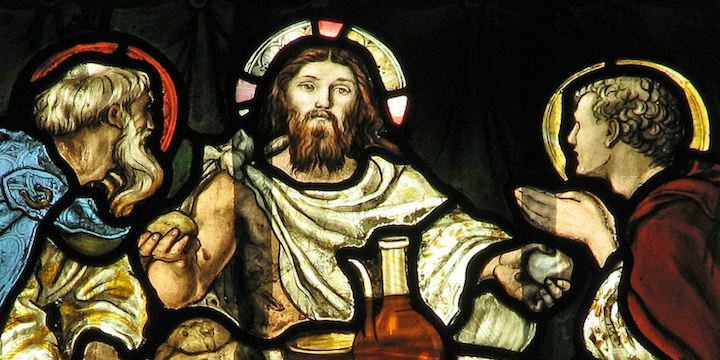 He started with a summary of Why the “Mythical Jesus” Claim Has No Traction with Scholars. He says that mythicists have typically not shown sufficient expertise and understanding of the historical evidence to overturn the result of more than two centuries of historical work which leads to the conclusion that, whatever one may believe about Jesus, he was a real person whose life followed at least the broad shape presented in the gospels. To illustrate, he examines three claims made in a 2014 book by Richard Carrier, one of the few mythicists who has academic qualifications in history. Hurtado shows, with many references, that Carrier has imposed his opinions on the evidence, which he has seriously distorted or misunderstood, and concludes that Carrier’s three claims are “readily falsified”. Hurtado received some adverse comment on his post, from several sources, including on Richard Carrier’s blog. So he responded in two further posts. Again, all this won’t be everyone’s cup of tea, but if you want to know a little more about how recognised scholars assess the Jesus myth claims, this may be helpful. Anyone who has read or seen The Da Vinci Code, or followed mythicist sites on the internet, will have some familiarity with claims that are often repeated about how the Catholic Church invented christianity, the gospels were not written in the first century, the Emperor Constantine chose the books of the Bible, Jesus married Mary of Magdalene and they had children, and so on. One author whose rather wild claims have been presented to me is Tony Bushby (see Did the Catholic Church invent Jesus, write the gospels in the fourth century and suppress the truth?). Bushby has no claims to be a historian, and his claims are so wild that even most mythicists would find them bizarre. I mention them here just to illustrate how even bizarre claims are often repeated by well-meaning people. When I investigated Bushby, I found that that his claims were almost totally invented – they appear to be nothing less than outright lies and deception. He has invented books and authors, fabricated quotes, and misapplied genuine quotes so they are no longer accurate. But still some people quote him. When confronted with strange claims and conspiracy theories, it always pays to do a little internet searching, and to check out what the recognised experts say. Most of us will tend to trust the facts that an author presents, for we think facts are facts and mostly we lack the expertise to know and understand the evidence. But often, conclusions which seem well based only appear that way because the facts behind them have been distorted.